Located in popular Plaza Midwood and just around the corner from NoDa, breweries and the future light rail. Timeless yet contemporary craftsman style homes with modern features and open concept living spaces. Thoughtful design for entertaining indoors and out, large covered front and back porches, fenced backyards. 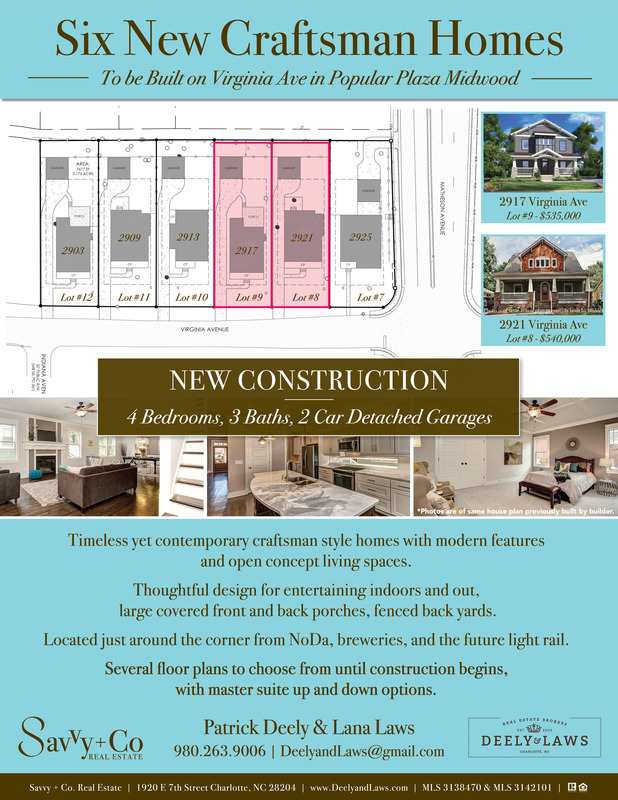 There are still several floor plans to choose from until construction begins (with master suite up and down options) so contact Patrick Deely and Lana Laws today at Deely & Laws for more details.